If the script encounters a Symbol it treats it as a Phaser Group and uses the Symbol name as a Group name. Any Bitmaps within the Symbol are treated as Group children and positioned accordingly. There are two ways to install JSFL scripts into the Flash IDE. 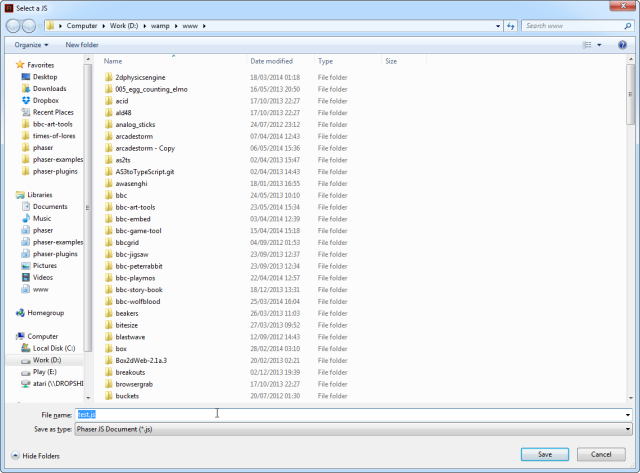 One is to copy them into the Flash application data folder, specifically into the “Configuration/Commands” sub-folder. The location of this varies tremendously based on OS and Flash version. 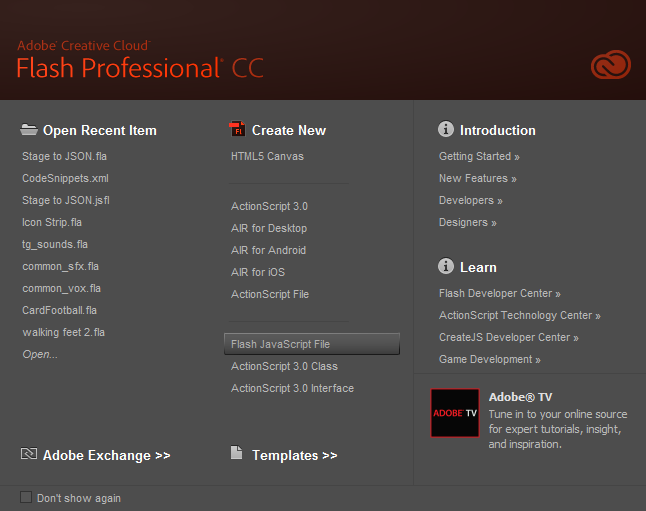 There is a slightly out dated guide available here on the Adobe site. An easier method is to create the script manually, which is what I’ll describe here. 1) Open Flash. In this guide I’m using Flash CC, but the process should be the same regardless. 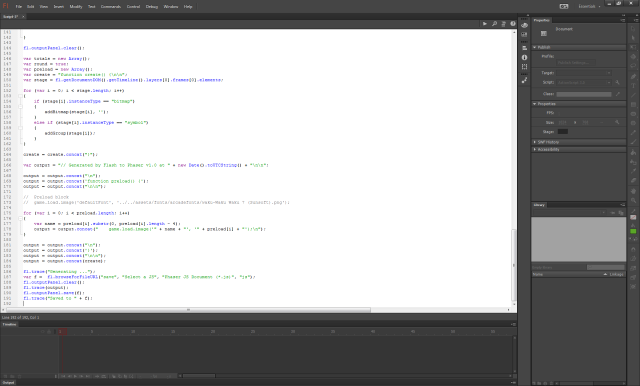 3) The Flash IDE will open a completely blank document. 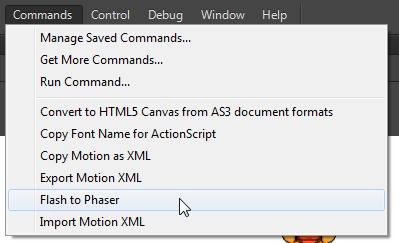 Copy and paste the entire contents of the “Flash to Phaser.jsfl” script into this editor window. You can find the latest version of this script in the Phaser github repository in the ‘resources’ folder. 4) Once pasted in, select “File – Save As” and it will prompt you for a name for the script. 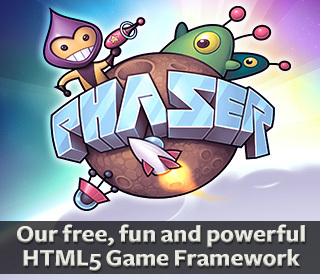 Enter “Flash to Phaser.jsfl” and hit “Save”. 5) The script is now installed and ready for use. The JSFL script works by parsing all objects that are on the first Layer of the Stage. It only supports Bitmaps and Symbols. It will automatically round object x/y values to the nearest whole pixel. If you don’t wish for this you can edit the JSFL script and set the var round Boolean to false. These are the easiest to manage. 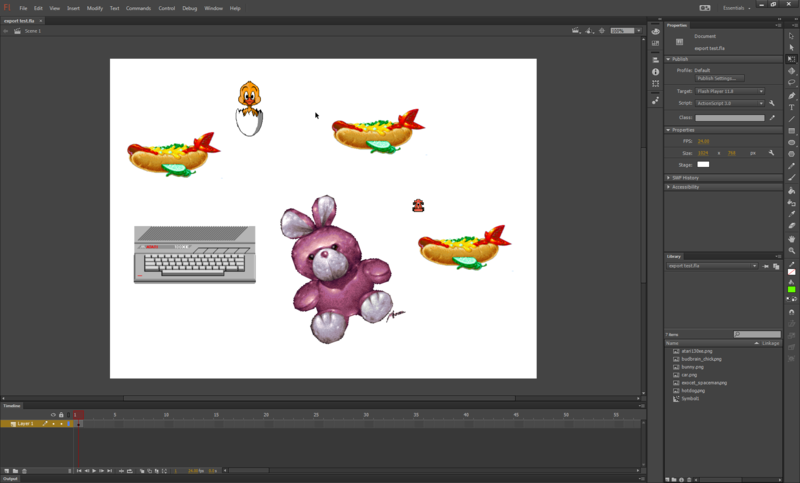 Simply drag all the images you require for your game into the Flash Library. Then drag them onto the Stage ensuring they are on the first Layer. Once on the Stage you can position them, rotate them and scale them as required. The script converts Symbols into Phaser Groups. A Symbol can contain as many Bitmap objects as you like, all positioned, scaled and rotated as required relative to the parent. When the script runs it will identify that you’ve got a Symbol on the Stage and generate a Phaser Group based on its name. The Group will be positioned matching the Symbol coordinates. The Symbol name becomes the Group name, with any spaces removed. You can see how the script has worked out which images to preload, assigned them all safe keys and created unique local variables for further editing. The script will run immediately upon selection, so make sure your FLA is prepared and saved before launching it. Hopefully you’ll find this script useful. Feel free to enhance or modify it to best suit your needs. If you add a particularly useful feature please submit a Github Pull Request so we can merge those changes back into the library for everyone else to benefit from. This script is provided as-is under the MIT License. No technical support is provided. Although if you do get stuck, please ask on the Phaser Forum. Posted on May 28th 2014 at 3:35 am by Rich. Thanks for this!! I found a way to use inkscape as a level editor but this is a lot better. Do you know if is possible to use this with texture atlases? Game loading time is very important when working with sponsors. It won’t work with texture atlases, it’s more for object placement and setting-up a game scene or level, not a replacement for asset creation I’m afraid. Even so, once you’ve got your atlas made you can use this to position it into the scene. 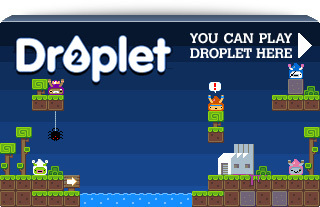 Does it create sprite sheets for animations? Funnily I’ve just been tinkering with an equivalent jsfl script of my own. What was the thinking behind the idea of limiting it to only handle the first layer? It’s simple enough to iterate over each of the layers in the array with only a couple of extra lines of code.